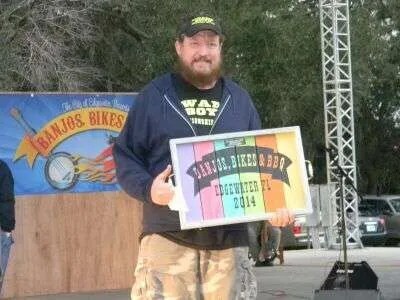 I was excited to compete for the first time in this 2nd year contest in Apopka. 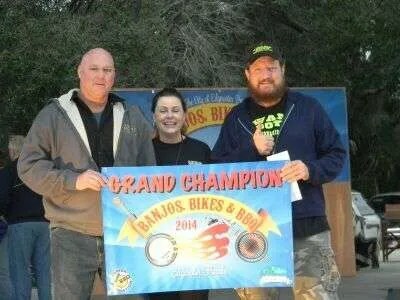 It’s not too often there is $10,000 up for grabs for Grand Champion. The big money brought out lots of teams, 81 in fact. I was really focused and all my entries were right where I wanted them to be. Only thing was maybe the brisket was a touch too tender. Unfortunately the judges didn’t see it my way in 3 of my categories. But that happens, so I will do the exact same thing next time and hope the judging goes in my favor. That’s all we can do! But in ribs the table of judges I got DID agree with me and I had terrific scores. 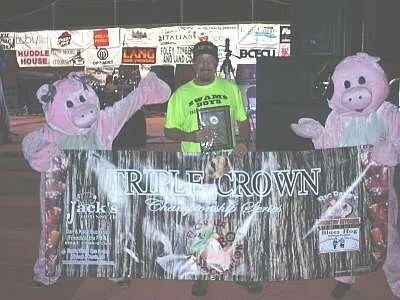 I missed a perfect score of 200 by half a point and got 1st place out of 81 entries, setting the high score in ribs for the year. That along with my other less-than-stellar scores put me in 9th overall. Not what I wanted but a top 10 at least. 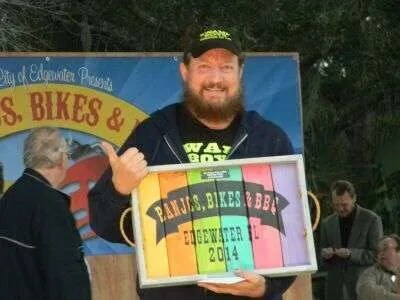 The Swamp Boys sauces have been selling like crazy. So much so that inventory is getting really low. More will be ready soon but labels will hold us up. I am hoping than in 10-14 days we will be back up to full stock in all sizes and flavors. Thanks for being patient during these growing pains. On a great note my sauce played a role in people winning a lot of money in Apopka and that is cool! 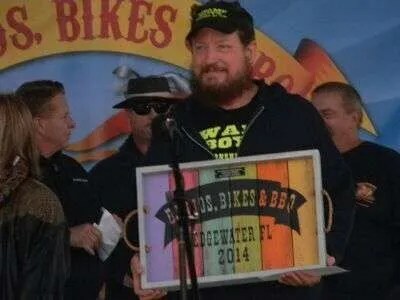 There was a nice first year contest in Edgewater Jan. 3-4 and Swamp Boys was blessed to take 1st place in chicken, ribs, and brisket. 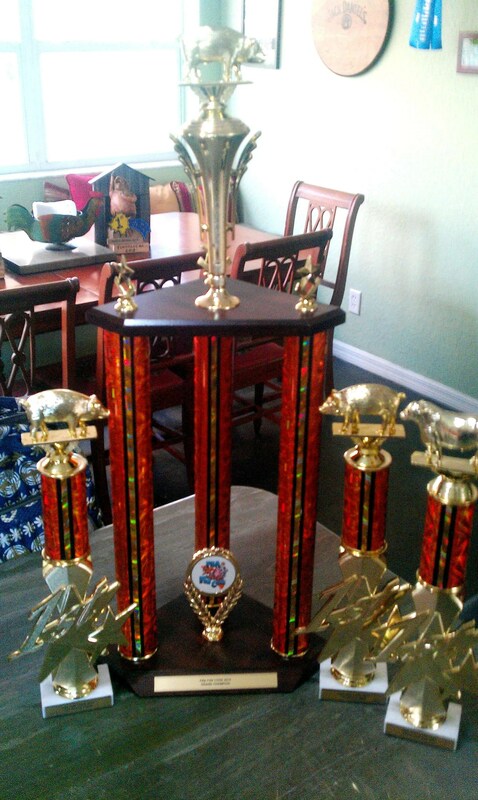 That along with an 8th in pork was good enough for Grand Championship! 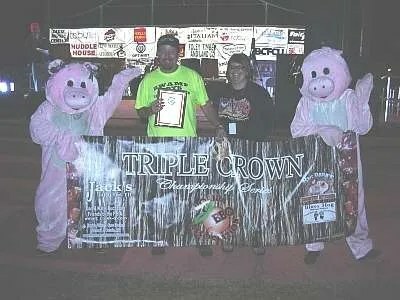 I qualified and was invited to compete in the Florida BBQ Association’s Triple Crown Championship held in Perry Florida this past weekend. I was the last to arrive and got set up way back in the woods, a pretty good hike to turn in. All of the best teams in the FBA were there and the competition was stiff. 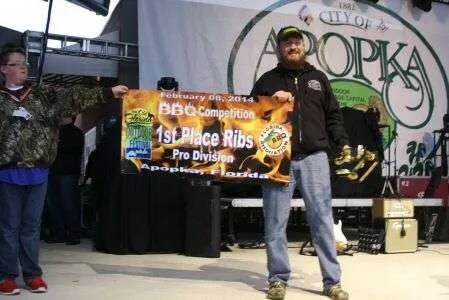 When the awards were over and done with, I had a 1st place in chicken, a 1st place in ribs, and a 7th place in brisket which was good enough for Grand Champion! I was totally surprised and humbled. As GC I also won a new Jack’s Old South cooker which was very cool! Before I got back to my site I had a trade offer on the JOS that I couldn’t pass up. 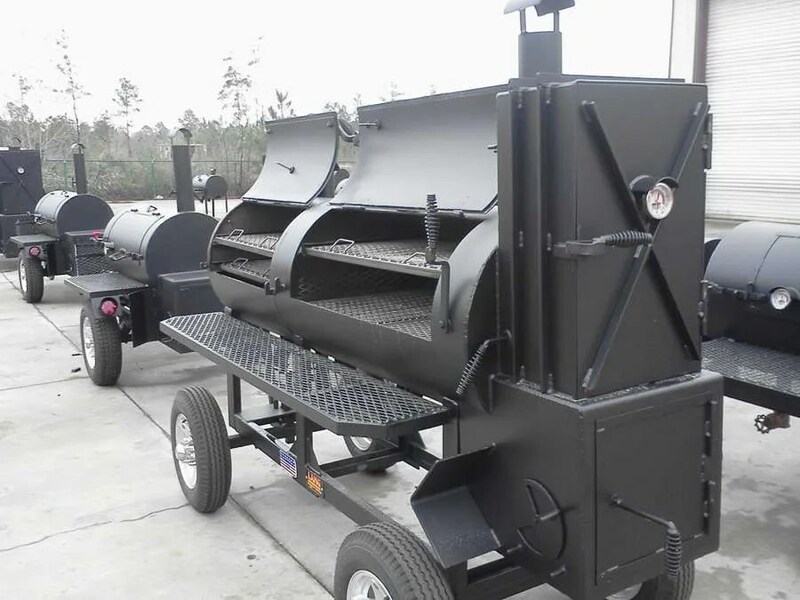 I am now the proud new owner of a Lang 48″ Hybrid Deluxe Patio Smoker! 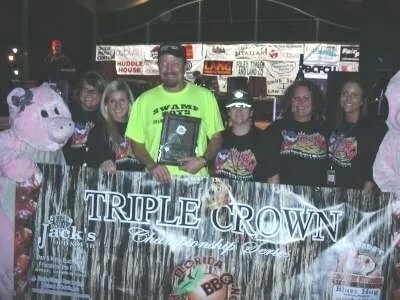 Big congrats to my friend Terry of Git-R-Smoked for winning RGC, and all the others who heard their name called. Thank you to my sponsors: 3 Eyz BBQ, Butcher BBQ, and BBQr’s Delight. These companies all have great products that help me produce the best barbecue I can, week after week. 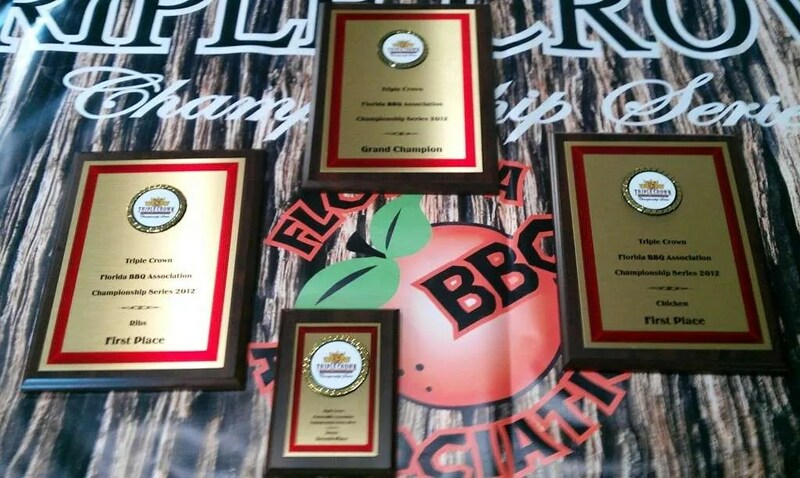 I competed at the FBA “Fun Cook” in Clermont 8/31 – 9/2. I had been wanting to try some changes on each category and I decided this would be a good enough time. I apprehensively put into play these untested ideas and turned in my entries. I didn’t care for the chicken outcome at all, but thought the others were OK. Turn ins were Saturday but awards weren’t until Sunday. I had things to do at home, so I left Sunday before awards. A friend of mine was texting me during awards of how they were going. Pretty cool! Thanks to my sponsors: Butcher BBQ, 3 Eyz BBQ, and BBQR’s Delight. You guys help make it all happen! PS: Still time to sign up for my Q School! Three 1st places and Grand Champion! If you use Google Chrome as a web browser it will translate the pages from Portuguese to English. Churrasco? No. It’s Medalist Breast (and Rib) Barbecue – From Estadão, Brazil’s equivalent of the New York Times. BOS BBQ: Just Delicious – Daslu Blog Magazine, Food & Drinks section. Say Howdy – Another great review from Estadão, Brazil’s equivalent of the New York Times. New Barbecue Restaurant is Opened Today in Itaim – BOS BBQ gets press in the Brazilian version of ELLE magazine in Hot Hits section. BOS BBQ Restaurant Must See in São Paulo – Even a self proclaimed vegetarian gives BOS a great review.